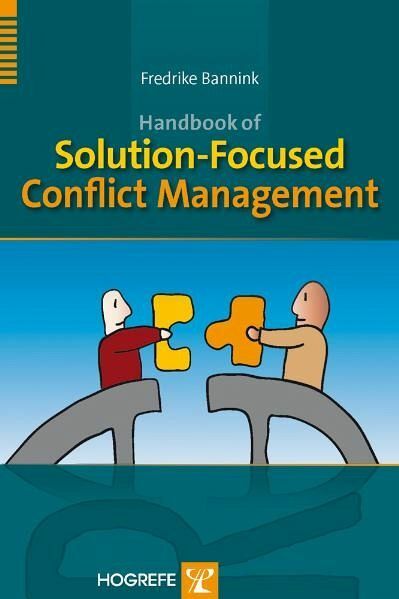 Introduces a new form of conflict management that is shorter, more hopeful, and more cost-effective than traditional methods – essential reading for mediators, lawyers, jury experts, and managers. Benjamin Franklin once said: “Every problem is an opportunity in disguise.” In the new and highly successful approach of solution-focused conflict management described here, the focus is on discovering these opportunities to find the “win-win” scenario. The key lies in asking eliciting questions about goals, exceptions, and competencies and in motivating clients to change. Clients’ perspectives are considered primary, and they are empowered to formulate their own hopes for the future and to devise ways to make them happen. Focusing on the preferred future facilitates change in the desired direction. The concept and the methodology of solution-focused conflict management differ significantly from traditional methods, but can easily be combined with them. Meetings also become more positive and shorter, ensuring that solution-focused conflict management is also cost-effective. 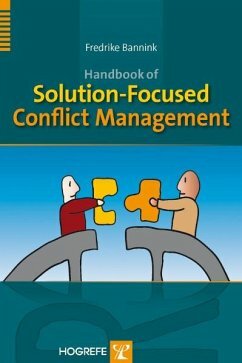 This book is essential reading for all those who need to manage conflicts. It provides a detailed description of the highly successful solution-focused model, its theoretical background, and practical applications in conflict management practice: divorce, workplace, family, neighbors, personal injury cases, victim-offender conflicts. Kenneth Cloke, one of the most inspiring mediators in the world, wrote the Foreword and Epilogue.